Editor’s note: This post appeared in the May 16 issue of “The Monday Fix,” a weekly email from HHS featuring coding tips. Click here if you’d like to subscribe. It may be time to rethink the way you’re coding some stated and assumed relationships in light of new Coding Clinic guidance. 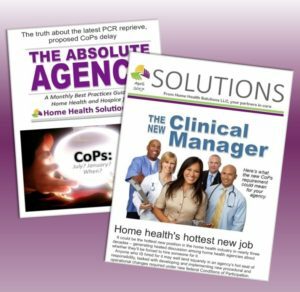 Two back-to-back articles released last week by AHIMA proved to be an eye-opener for many home health coders, updating and replacing previous information about cause-and-effect coding practices. 2.There is no other cause provided for the subterm condition. Examples were offered by AHIMA for a diagnosis of diabetes mellitus, which has some 53 conditions listed under the subterm “with” in ICD-10 coding manuals. Those conditions may now be coded as complications of diabetes mellitus if the documentation supports both and if no other cause is given. This means, for example, that coders may accurately assign the code E11.22 (for Type 2 Diabetes with Chronic Kidney Disease) if the physician has separately documented that the patient has both DM and CKD. There is an assumed relationship because CKD appears in the list of conditions associated with DM. And the new interpretation does not apply only to diabetis mellitus and its 53 subterm conditions; it applies to any diagnosis where the word “with” appears above a list of related conditions. The one noteable exception is hypertension with heart disease. For many coders, especially those who trained under a different ICD-9 interpretation, the cause-and-effect assumption will prompt a major shift in thinking. “Anytime we see the word ‘with’ underneath a diagnosis — except hypertension with heart disease — we are now to assume a cause-and-effect relationship unless the physician indicates another cause,’’ explains Kimberly Searcy, Director of Global Education for Home Health Solutions. Kimberly joined a group of home health coding professionals for advanced coding training in Houston last week, as the home health coding field was abuzz with questions about the new interpretation, wondering exactly how it will affect their coding. Instead, home health coders divided into two camps on the issue. In one camp, many coders assumed it was necessary for documentation from the physician to link the main term listed and any condition under the subterm “with,” while the other camp believed the link was not necessary. 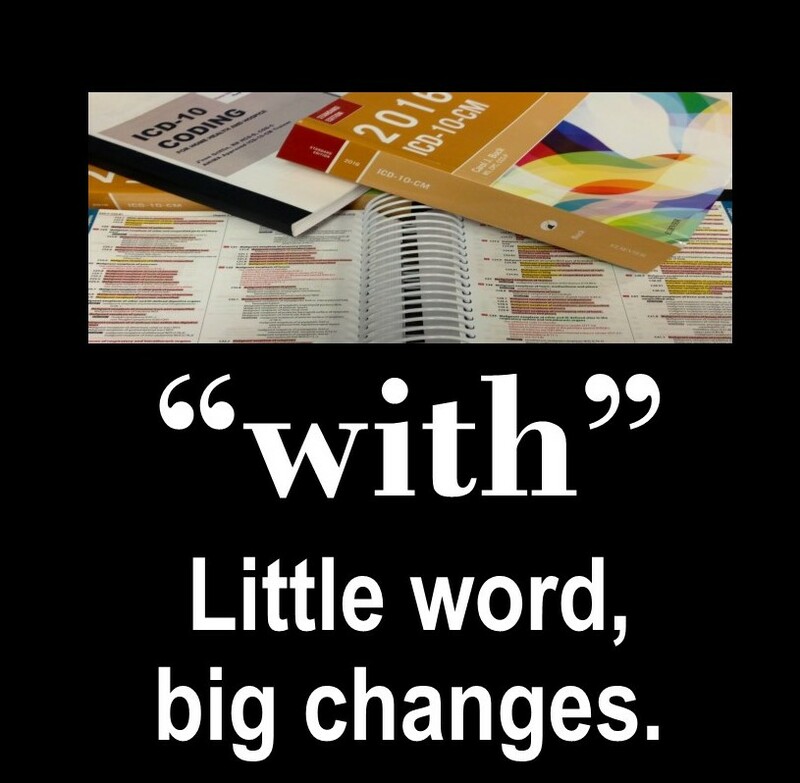 “The word ‘with’ should be interpreted to mean ‘associated with’ or ‘due to’ when it appears in a code title, the Alphabetical Index, or an instructional note in the Tabular List. How will this new interpretation apply to you? 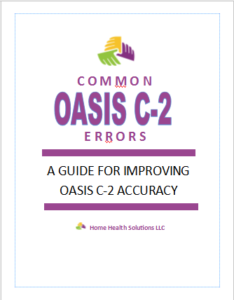 If you have been interpreting the guideline incorrectly, in most cases you will simply need to begin applying the clarified interpretation to your current charts, going forward, without correcting any previous charts. Please check with your employer, however, to confirm that you will not need to update any previous charts. If you are uncertain about whether documentation supports an association between a diagnosis and conditions due to its complications, it is best to send a query to the physician requesting clarification. As of right now, we may not assume a relationship between hypertension and heart disease. The physician must state the heart disease is due to hypertension or it may be implied (hypertensive). The focus of care in this scenario is the exacerbated heart failure; however, this diagnosis cannot be coded first due to sequencing instructions. Begin your search by looking in the index under hypertension. Notice that hypertensive heart disease with CKD is listed in the index under hypertension, cardiorenal disease. From there you must choose between with heart failure or without heart failure. I13.2 is coded because the patient has heart failure and ESRD. Next locate the code for diabetes with chronic kidney disease E11.22 which must also precede the end stage renal disease code per coding instructions. Note that if the focus of care had been diabetes rather than exacerbated heart failure, E11.22 would be listed first, followed by hypertensive heart disease, heart failure, and end stage renal disease.